The Journal of Transport and Land Use (JTLU), an international, open-access, peer-reviewed online journal that publishes original interdisciplinary papers on the interaction of transport and land use, is pleased to announce that it is now indexed in Scopus. Domains covered by JTLU include: engineering, planning, modeling, behavior, economics, geography, regional science, sociology, architecture and design, network science, and complex systems. JTLU is also the official journal of the World Society for Transport and Land Use Research. For more information on JTLU, please visit www.jtlu.org. To learn more about Scopus, please visit www.info.sciverse.com/scopus. I make a reservation for plane to Toronto using your credit card. I used your credit card to hold a hotel reservation in Toronto . Why, once I am in Toronto, do you decline my card to pay for that same hotel for “suspicious activity”, making me call you (international long distance or hotel telephone rates) to get my card released. (A hotel, that by the way, checks photoID of customers). Surely, with all the Big Data you have available to you, and the interest rates you charge to customers, you should be able to figure this out. I did all I could to telegraph to you about my travels but write you a letter. A picture of the Ryno is to the right. (I have yet to see one in the wild). 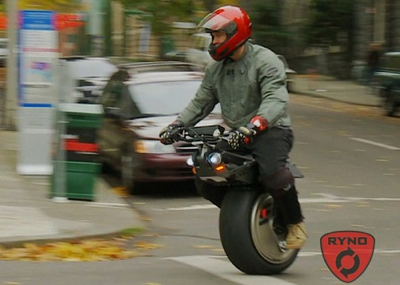 It is self-balancing, and so the Segway of mobility scooters/motorcycles. As they say, don’t let the road get in the way of your life. It is limited to 12.5 mph, and so one may ask, how is this better than a bicycle? Well if you don’t want to pedal. … How is this better than Segway? Well if you don’t want to stand, and somehow it looks cooler. A page devoted to vehicles with only one wheel is here: Motorwheels monowheels They are not all of the unicycle variety.